When these Retrowerk steampunk watches came out a few years back, I blogged about them and how funky the Steampunk designs were a bit off the wall for me. Well, I ended up finding one for a good deal so I bought it! I never thought I would have ended up buying one of these, but I did. And there she is, in all her antiqued, worn brass finish. The watch is actually considerably better made than I thought it would be, especially for the kind of money these go for these days. I am seeing them being liquidated for around $500 for the automatic models, which is a significant step down from their original $1200 MSRP. At $1200, its a bit of a stretch, however. There’s a big, juicy piston driven crown protector, which reminds me a little of the Espresso machine style levers that Graham is so fond of with their Chronofighters. 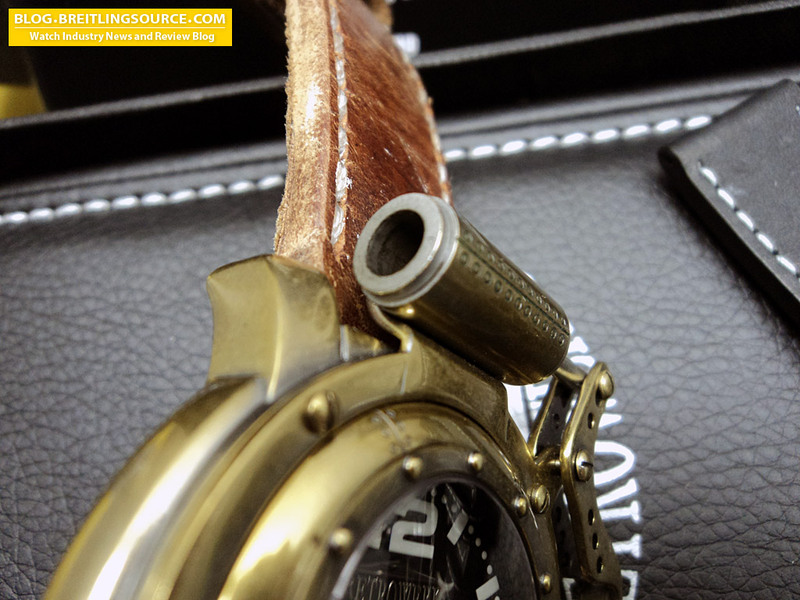 The Graham Chronofighter levers are much more refined, however. This is a bit cruder, like the U-Boat canteen covers. I have a gripe about the way this was designed, however, and that’s because it is so difficult to hand-wind the crown due to the location of the protector when it is unscrewed. I can only manage about 1/4 turns when handwinding, and its a bit frustrating! The piston is hollow on one side, and has a spring inside that pushes it to an open position when the crown protector is removed. 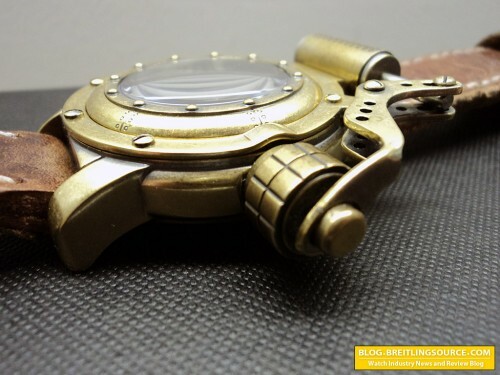 As you can see, there is a lot of attention to detail in the finishing and imprinting on the case to create the steampunk style. 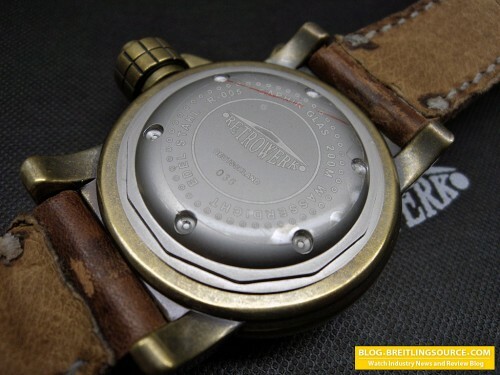 The caseback is not brass-finished like the rest of the case, but rather a bead blasted stainless steel, but is very well finished nonetheless. They didn’t cheap out on the case back, and in fact has each one individually serial numbered – a nice touch. This one is numbered 36. I wonder how many they made? Since there are three digits, probably not more than 999 of each model. That’s a pretty scarce production run – maybe they’ll be worth something in the future! There’s the headshot. The arabic numbers are lumed, and the domed crystal is sapphire. When these were first announced, they were going to have mineral crystal, but it seems they got upgraded. I think they did a fantastic job with the brass finishing on the steel case, but while I like brass, I’m not sure if I like the steampunk. I’ll probably keep this watch for a little while, but I don’t know if it will be a long term keeper. I’ve got it mounted on a vintage ammo NuboStrap right now, and it looks great on there. The one place on this German made watch where I felt they skimped a bit on the quality is the dial. The Lume isn’t the brightest, and the Retrowerk Logo is kind of shiny and rounded on the edges.. not as clean and crisp as I would prefer and gives it a bit of a cheaper look to it.. but the case details are fantastic and it has a great worn look to it. Here’s a wristshot of the 46mm watch, which wears quite decently for such a large watch. The smaller face/crystal attributes to the slightly more digestable wrist presence. Most larger crystal 46mm watches like the Navitimer World have much larger wrist presence, and they don’t even have a gigantic brass piston on the case! 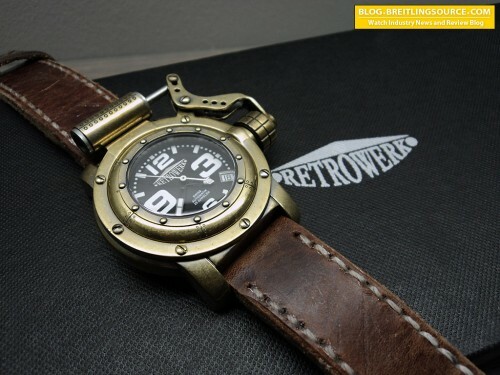 At any rate, really a novelty watch for the steampunk enthusiast that appreciates quality Swiss and German engineering. 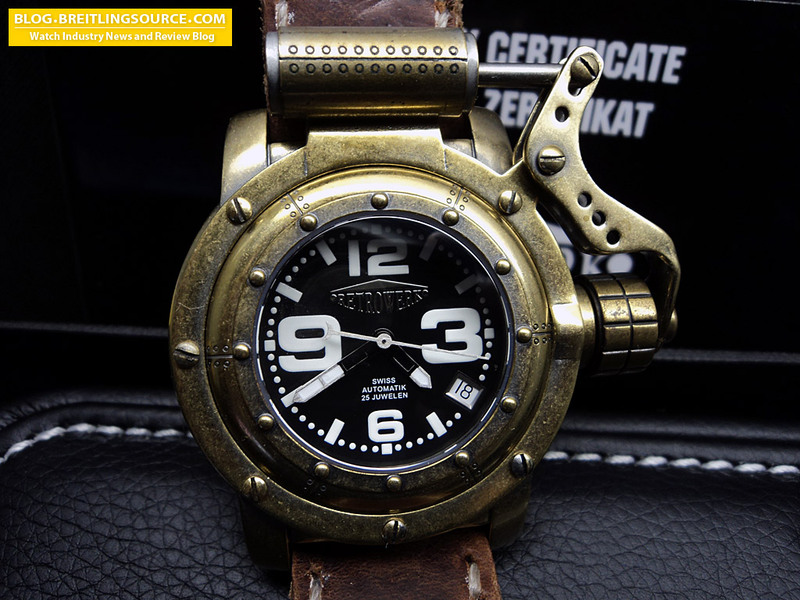 The watch is constructed well and keeps good time. 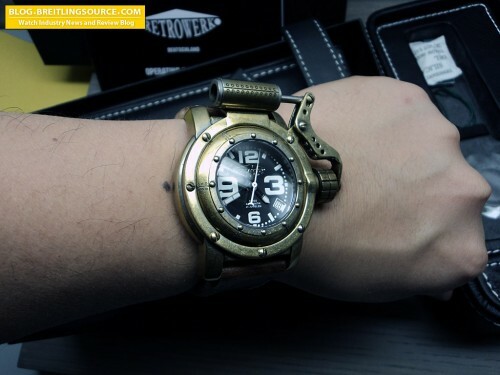 It wears on the wrist well and really accomplishes what it sets out to do in my opinion. 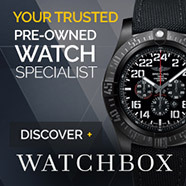 Is this watch for everyone? Certainly not, but I think it will definately be right for some people.